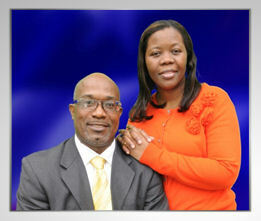 Bishop Eric Joseph is an anointed man of God and a visionary whose mission is to build God’s kingdom, God’s way. He is a proud native of Grenada, a small island in the West Indies. At a tender age of 12, he committed his life to Jesus Christ. Four years later he was excited to be baptized, as his passion for God grew stronger. Within the next five years, Bishop Eric Joseph excelled in his walk with the Lord, which led to his eventual appointment as President of the Church’s Youth Ministries. He was also a Sunday school teacher and one of the Church’s key musicians.